Take State Highway 249 north. Go one mile north of Decker Prairie Road/Hardin Store Road and turn left on Woodtrace Boulevard into Woodtrace. 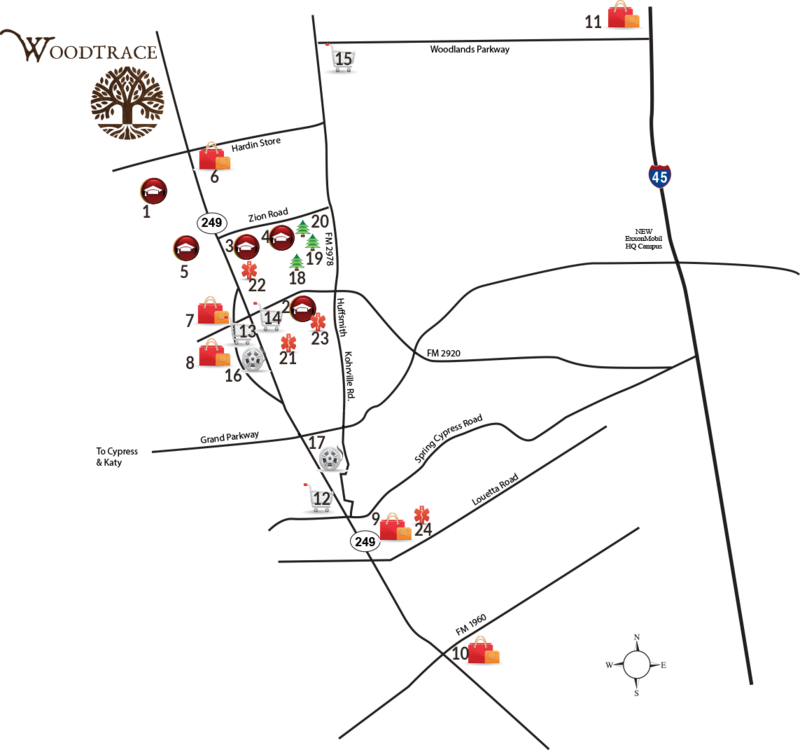 Woodtrace is ideally situated in Tomball/Pinehurst, very close to The Woodlands area. In Woodtrace, you have easy access to The Woodlands Mall, Market Street, Cynthia Woods Mitchell Pavillion, plus all the other amenities in The Woodlands area. Compare and you will see that a new home in Woodtrace is thousands less than in The Woodlands. 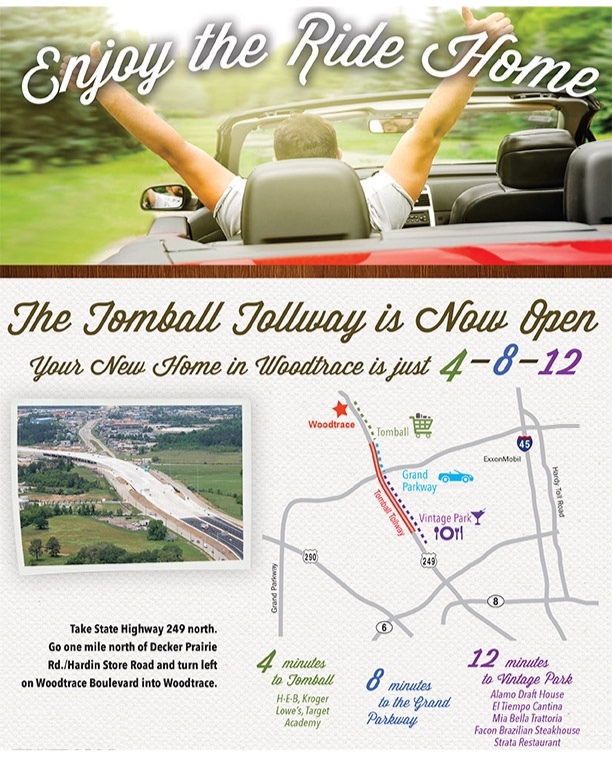 Woodtrace is a quick and easy drive to the new ExxonMobil campus, as well as many other major workplaces now that the new Grand Parkway extension from US 290 to I-45 is complete.